New quests, including NPC escorts, have been added. Players are now able to repeat artifact quests. A new avatar quest has been implemented. A new feature allows you to replay event scenes that were viewed outside of towns or within burning circles. A limit has been placed on the number of conquest points your nation can receive by trading weapons and armor to outposts. It is now more difficult to take over a region using this method. The beastmen have buried treasure in several areas of the Outlands. Certain conditions must be met in order to find and obtain these prizes. Four new areas ("Dynamis" areas) have been opened. Several new notorious monsters (NM) have been added to existing areas. Enemy strength in the level cap battle "Shattering Stars" for the red mage will be adjusted. 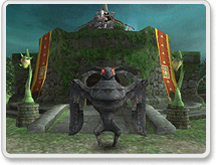 The names of the Tonberry Beleaguerers found in the Yuhtunga Jungle have been changed to Tonberry Jinxer. The Qufim Island Giant Rangers that appear during expeditionary force battles are now called Giant High Rangers. The effects of the spell Reraise, a bottle of reraiser, and a scroll of instant reraise have been adjusted to differ from the effect of the bard song Goddess's Hymnus. The icons for the bard songs Foe Lullaby and Horde Lullaby have been adjusted. TP will now affect the weapon skill True Strike's accuracy. An incorrect message displayed when obtaining certain high-level weapon skills has been fixed. An issue where the "weapons of trials" would regain their lost latent effects when equipped in the left hand slot has been fixed. Now, regardless of the status of the item, when one of these weapons is equipped in the left hand slot its latent effect will not activate. The time interval between appearances of certain notorious monsters in the Sea Serpent Grotto and the Bostaunieux Oubliette has been adjusted. An issue concerning monsters not reappearing at their scheduled times has been fixed. An issue concerning the charm status of monsters after the beastmasters controlling them leave the area has been fixed. Repeated use of the spell Gravity on notorious monsters will result in the monster slowly building up a resistance to the magic's effect. This resistance wears off with time. An issue where monsters with full resistance to Bind would be bound by certain abilities and the additional effects of equipment has been addressed. Monsters that are reeled in while fishing will now gradually increase in level if they are not engaged in battle. The increase in strength will not begin immediately, so a player should have ample time to defeat a monster. If the player engaging a powered-up monster is defeated or escapes from the battle, the monster will return to its original level and eventually disappear. New pieces of equipment known as "relics" have been introduced. New synthesis recipes have been added. Also, the number and quality of items that are created using certain recipes have been adjusted. 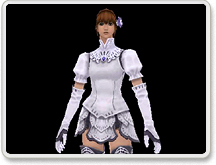 New items are now available from the Tenshodo and the vendors in Norg. In addition to extra storage, certain features that can enhance player status have been added to various furnishings. A new avatar battle, as well as new rewards in existing avatar battles, have been implemented. The appearance the katzbalger +1 has been changed to match that of the katzbalger. New items can now be harvested with sickles. When equipping items using the /equip command, an item will no longer be removed if the command consists of the same piece currently equipped. The buying price for certain "rusty" items has dropped. The prices of certain furnishings have been adjusted. A new set of synthesizable equipment for use during wedding ceremonies has been introduced. Currently, the wedding service is only available in Japan. However, we hope to have the service ready for North American players in the near future. Please check this site regularly for further details. The names of the "rasetsu hachimaki" and the "rasetsu hachimaki +1" have been changed to "rasetsu jinpachi" and "rasetsu jinpachi +1" respectively. The pose taken by Mithra while sitting (/sit) has been slightly altered. Players are now able to alphabetically sort items on auction (excluding weapons and armor). In addition, the method of sorting will be memorized for future usage (excluding sorts by job or race). The lot system has been updated. If a player who wins a lot has no room in their inventory or cannot hold two of the item in question, the treasure will no longer be lost; the item will now be given to the player with the next highest lot. When an item cannot be obtained for the reasons listed above, a message informing the player of the lost treasure will only appear in his or her log window. A new "Lot Results" switch has been added to the Chat Filter menu. This will filter all lot-related messages from your log window (excluding your own). New additions to the "Config" menu allow players to adjust mouse and camera settings. Some of these additions include the implementation of a "chase camera" which locks directly behind your character at all times, as well as the option to invert the X and Y axis on the camera controls. The default settings for the shortcut commands "Ranged Attack" (Ctrl+D or Alt+D) and "Call For Help" (Ctrl+G / Alt+G) have been set to "off." It is not necessary for existing characters to readjust their shortcut commands, as this change only pertains to the settings of newly created characters. Names of the "Absorb" spells have been added to the auto-translate function. To prevent the accidental deletion of characters, the character deletion process has been modified. The type of shadow detail can now be adjusted between "High," "Normal," or "Off." When using the hardware mouse cursor (adjustable in the Misc. section of Final Fantasy XI Config), the on-screen arrow will now point in the direction of character and camera movement. *The software mouse cursor (default) has not been changed. -When trading items to the Goblins near the entrances of Castle Oztroja and Beadeaux, erroneous text is displayed. This error does not affect gameplay, and is scheduled to be corrected in the next patch.